Prepare fertile, aerated and well-drained soil. Sow seeds in late spring/early summer (soil temp > 60F) in a warm and sunny place or start seeds indoor about 5 weeks in advance and transplant when soil temperature is higher than 60 F. Train the vines on to trellis. Prune if necessary. Keep the soil moist and loose. Do not over-water! Supplement with Potassium and Phosphorous to help flowering and fruiting. 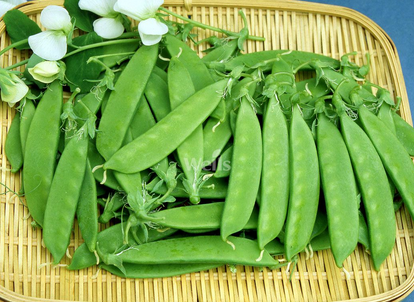 Harvest young pods in about two weeks after flowering before pods develop fiber. 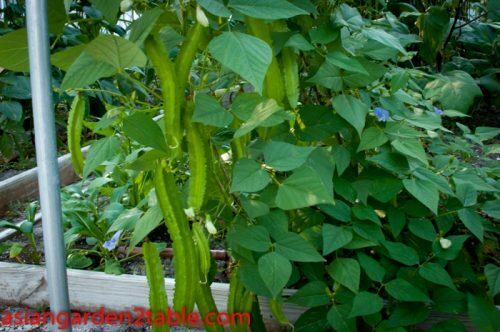 Culinary tips: Young pods can be used in stir-frying, boiling, steaming, pickle like green bean. 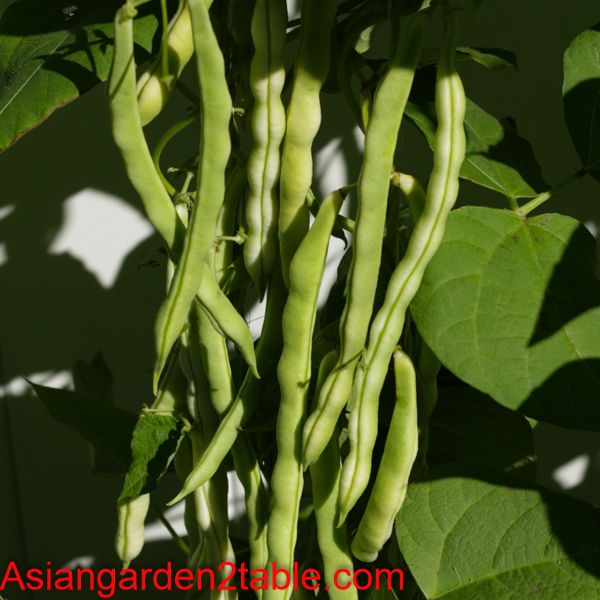 Dry winged bean seeds can be used as soybean. 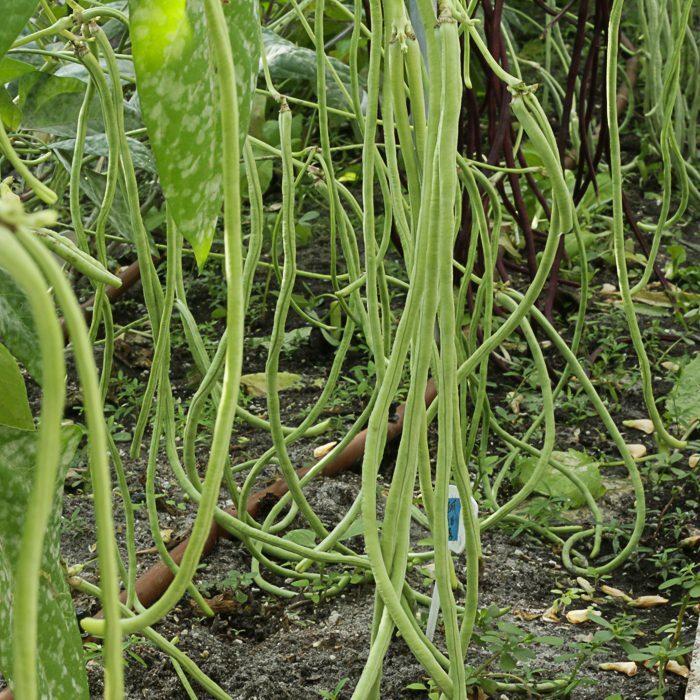 Young leaves, shoots and flowers are also edible. To my surprise, it is very tasty and easy to grow, too. I growed it in a pot of 4 gallon and didn’t take much attention to it, but after the hot days ended in early Aug., it started to strive and I started to pick up the fruits yesterday. I believe every grower should have it in the garden. Also the sellers showed us how to plant them from the seeds. If you want to be successful, just do what Regine has taught us. Here I wanted to say thank you to the sellers.